Bowl with Beans Oil painting of a Bowl with fruits and beans on canvas. Trevor uses a consortium of broken colours to describe an ordinary subject. 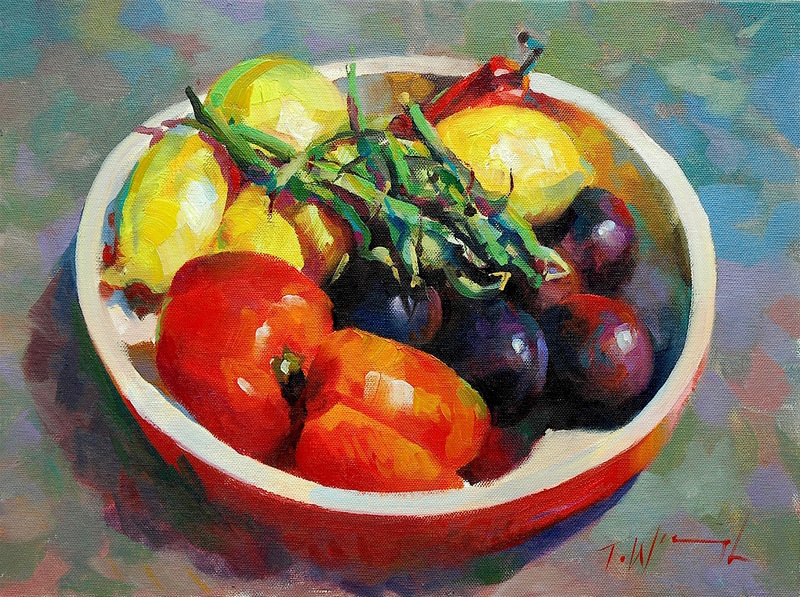 The delicate handling of each colour and it’s placement in the whole makes for an extremely colourful still life.